Needing a new acoustic guitar tune to learn? Or are you just trying to find that right song to listen to on your way to work in the morning? This is a list of what I consider to be the best acoustic guitar songs. 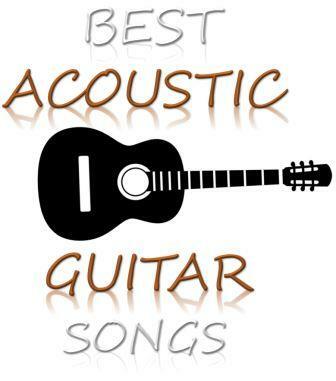 There is a lot of diversity in the list and a must listen to for all the acoustic guitarists out there. Whether you are wanting to pick up the acoustic guitar and learn something new, or you just need a new tune in your life, this list is sure to bring you something fresh in your music playlist. It goes without saying that everyone’s top 10 will be different, but this is my top 10 and hopefully it gives you some ideas. This is a great song to learn on acoustic guitar, or anyone wanting an easy-going sound for their drive to work. It’s a light tune about falling in love with a girl. I enjoy listening to this song when I just need some light-hearted music in my life. This is another favorite light-hearted tune of mine. A love song that is smooth, catchy, and easy to figure out when learning to play on the acoustic guitar. It is an older song, but always a good one to listen to. Fast Car by Tracy Chapman is a classic, and must know for any acoustic guitarist! If you love acoustic guitar music, then you probably already know this one. A song about the struggles of life and trying to run away with your partner. A slower tune that is great for chill drives to work in the morning or just hanging around the house with a group of friends. Better Together is definitely going to brighten the day of any acoustic guitar player or listener. Another tune that you may already know on acoustic guitar, and if you don’t, definitely be sure to check it out. If you enjoy a catchy, bright tune then this is your song to learn. Better Together is a romantic song about people basically being better together and worse when they are away from each other. A great choice to play on guitar for your partner. All my acoustic guitarists out there ever heard of Eric Clapton? Of course you have! Layla by Eric Clapton is a go to tune for all my car travels. Appreciate the acoustic guitar in this version of the song. This classic song is bound to make any acoustic lover sway. This may be one of my favorite tunes to listen to when I just need time to relax. You probably already know this one, but check it out again anyways. Bill Withers will always brighten your day with any song of his. Honestly, any of his songs are great played on acoustic guitar. This song is about a girl who constantly says goodbye, and takes the sunshine with her. Obviously any Chris Stapleton song is perfect to learn on acoustic guitar. Traveller is a song all about explaining his heart. He doesn’t know where he needs to be, or where he needs to go, but he needs to get somewhere. Get lost in this easy going tune when playing it on guitar. Looking for the perfect love song to play for that special someone? This is a great song for any acoustic guitarist to learn. Especially if you are trying to play for one that holds your heart. Perfect by Ed Sheehan is all about how much he loves this girl, and how perfect she looks tonight. It also talks about the future they hope to share together. This is a new song from Thomas Rhett’s most recently released album. Another love song, but a little more pop to give it a sunnier vibe. Grave is about how he is going to love her until the day he dies. This would be a great tune to learn on acoustic guitar, or just enjoy as you ride in the car with that special someone. Grave would also be a cool song to play with a group of other guitarists. I enjoy this tune regularly late at night when driving. The perfect song for any acoustic guitarist to learn and enjoy. Dead Sea is about how a girl told a guy that he always lifts her up by being like the Dead Sea. This tune is a little slower and more relaxing than some of the other ones. So that’s the 10 that I consider the best acoustic guitar songs. I’m sure there are others that I like that I’ve forgotten about – some reminders would be nice. Just leave a comment in the comments section below with any songs that you think should make this list. And if there’s anything that you’re horrified to see on this list, let it be known!